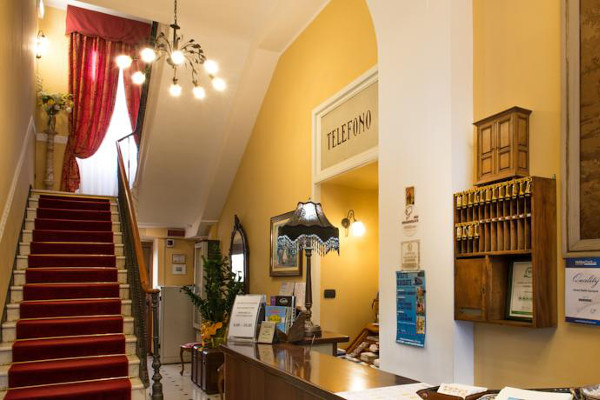 Hotel Belle Epoque in San Remo is situated in the center in an elegant Liberty style building that dates from the 1900’s. 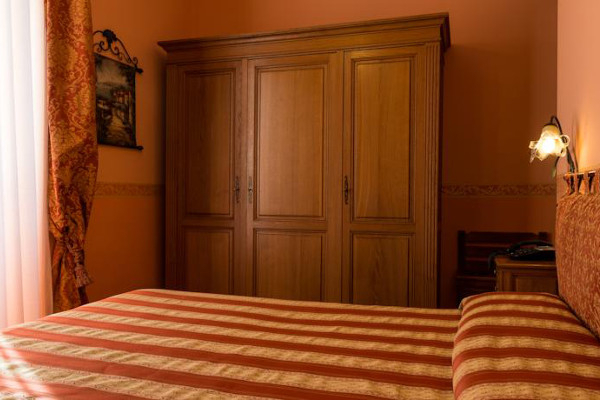 The hotel offers 17 rooms, all equipped with heating, security safe, TV, kettle for tea or coffee, telephone. The rooms are arranged over three floors and on each one there is a different color scheme, providing the perfect framework for the luminosity of the sun, the clear blue water of the sea, and the serenity of the location. 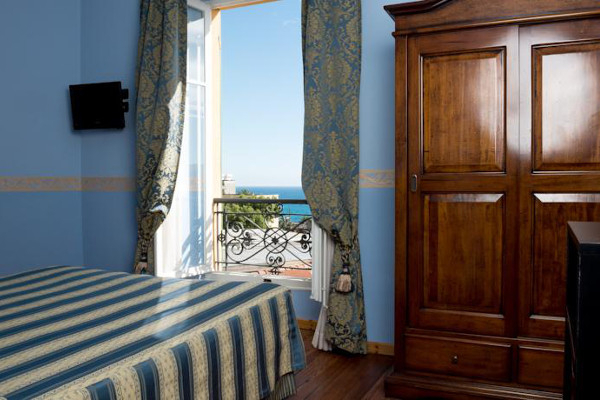 The hotel Belle Epoque offers minisuites decorated in exquisite taste. Free Internet Wireless throughout the hotel. Free accommodation for children up to the age of 4, either in beds already provided or in a cot. 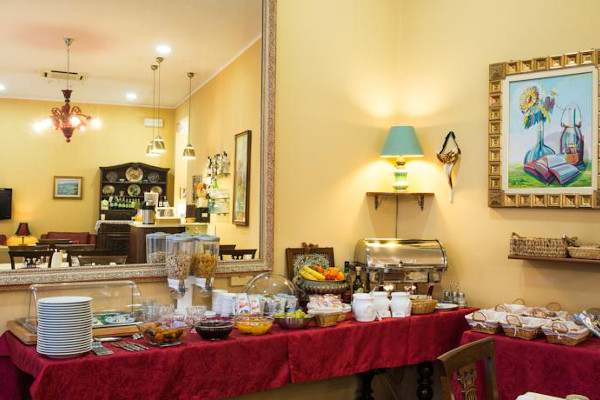 Continental breakfast offered to all hotel guests. Possibility of breakfast in the room on request. We offer a bicycle rental service. Children under 4 years of age stay free of charge. Possiblity of cot on request. Special rates for children up to the age of 12 years. A few metres from the Ariston Theatre, the Casino and the main street where you can visit luxury boutiques and do a little shopping. Autostrada A10, exit Arma di Taggia – San Remo Est. You proceed quickly, thanks to the Aurelia Bis, third exit (hospital of San Remo). 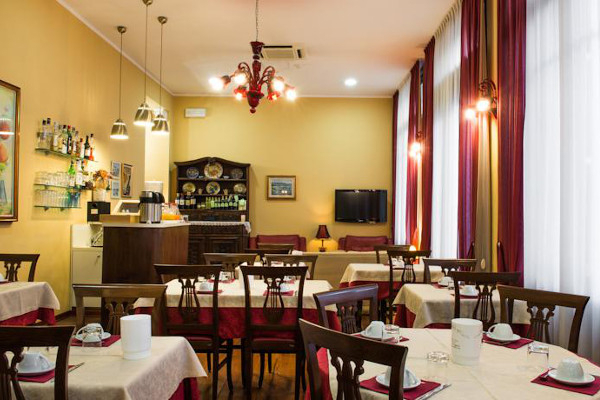 Head towards the center until you arrive at Piazza Colombo. Here you will see the signs directing you to Via Roma.